What causes brain cancer and benign brain tumors is sometimes not fully understood. Whatever the cause, seek help if you develop symptoms. Most primary brain tumor causes are not apparent, and the development of these tumors is not associated with any well-established risk factors. You’ve been experiencing an array of symptoms, from headache and nausea to vision disturbances and concentration problems. Understanding that, among other potential disorders, a brain tumor causes these warning signs, your doctor recommends testing to identify the source of your symptoms. At this point, you probably wonder how you might have developed a brain tumor in the first place. Fact is, in some cases what causes brain cancer or nonmalignant brain tumors remains undetermined. Like other tumors, primary brain tumors—those that originate inside the brain—result from changes in DNA residing in your brain cells. These DNA alterations vary among the wide array of primary brain tumors that have been identified. Some of these genetic changes are passed down from your parents, as is the case with rare inherited conditions like Li-Fraumeni syndrome, von Hippel-Lindau syndrome, neurofibromatosis, and tuberous sclerosis. In other cases, primary brain tumors are not associated with inherited syndromes, but rather result from genetic changes acquired during a person’s lifetime, possibly due to environmental exposures. Among the most well-known environmental factors is radiation exposure, most often occurring with radiation treatment to the head to treat leukemia and other cancers. Still, brain tumors resulting from radiation exposure are relatively rare, according to the American Cancer Society (ACS). Overall, most primary brain tumor causes are not apparent, and the development of these tumors is not associated with any well-established risk factors. Primary brain tumors can grow and spread within the brain, but they rarely advance elsewhere. 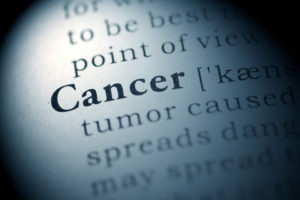 Conversely, several types of cancer that develop in other areas of the body can spread, or metastasize, to the brain and form what are known as secondary brain tumors. In fact, secondary brain tumors are about 10 times as common as all primary brain tumors combined, according to the American Brain Tumor Association. The most common secondary brain tumor causes are cancers originating in the lungs, colon, breast, kidneys, and skin (melanoma). Unlike primary brain tumors, secondary brain tumors have more discernible causes and risk factors. For instance, most lung cancers that spread to the brain are associated with tobacco smoking. Similarly, obesity, a sedentary lifestyle, and a diet rich in red and processed meats have been shown to increase the likelihood of colorectal cancer, while overexposure to the sun’s harmful ultraviolet rays raises the risk of melanoma and other skin cancers. By addressing these risk factors and others, you can prevent these primary cancers that can cause secondary brain tumors. Regardless of how a brain tumor originates, it’s important to recognizes its symptoms and seek a prompt diagnosis. As it grows, a brain tumor causes an increase in intracranial pressure, the pressure inside the skull. This rise in intracranial pressure also may occur as the tumor blocks the flow of nourishing cerebrospinal fluid, causing it to build up, or because the tumor contributes to swelling of the brain. As a result, a brain tumor causes a number of symptoms, varying from person to person. According to the ACS, about half of people with a brain tumor develop worsening headaches, which may become more frequent over time, and as many as half develop seizures. 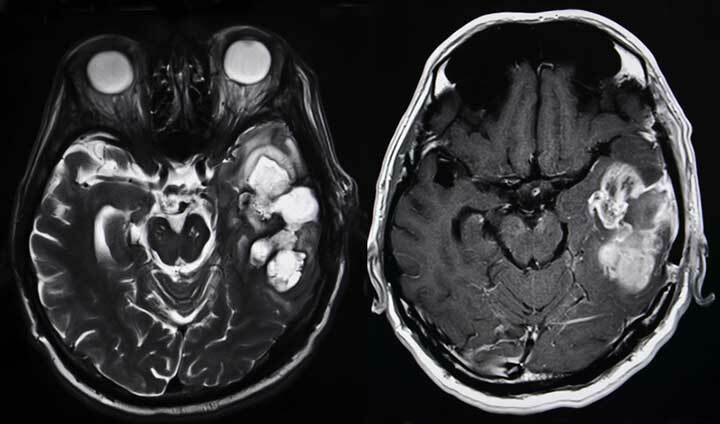 In other patients, a brain tumor causes nausea and vomiting, difficulties with balance, weakness, vision problems (blurry vision or double vision), changes in behavior or personality, confusion or concentration problems, speech or hearing difficulties, drowsiness, and even coma. Keep in mind that brain tumor symptoms can vary based on the tumor’s size, rate of growth, and its location. Furthermore, these warning signs resemble those of other conditions affecting the brain, so just because you experience these symptoms doesn’t necessarily mean you have a tumor. Nevertheless, see your doctor to find out what’s causing your problems. Your doctor will review your symptoms and your overall medical history, and also perform a physical examination, focusing on coordination and balance, reflexes, vision, and other functions. Imaging studies, such as magnetic resonance imaging (MRI), computed tomography (CT) scans, or positron emission tomography (PET) scans can identify a brain or spinal cord tumor, but they cannot determine the type of tumor it is. So, your doctor may order a biopsy to retrieve a sample of the tumor tissue and have it examined under a microscope. Your physician also may recommend a lumbar puncture, or spinal tap, to examine the cerebrospinal fluid for signs of cancer. brain, brain cancer, brain tumor, brain tumor causes, brain tumor symptoms, cancer, cancers, colorectal, colorectal cancer, diet, headache and nausea, headaches, hearing, hearing difficulties, leukemia, lung cancers, melanoma, obesity, personality, positron emission tomography, radiation, radiation treatment, sedentary lifestyle, signs of cancer, skin, skin melanoma, smoking, tobacco, tumor, types of cancer, vision problems, what causes brain cancer.